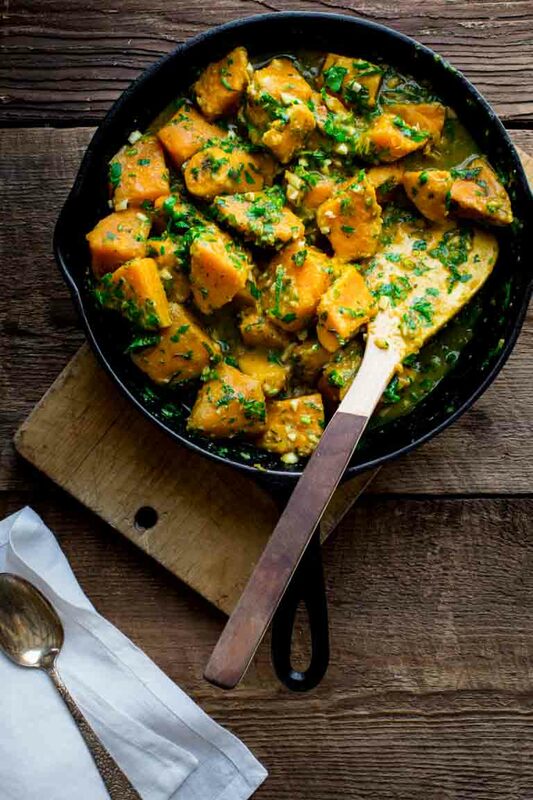 Sweet Potatoes are simmered in coconut milk and vegetable broth with curry and spices. The dish is finished with cilantro, mint and lime and a scattering of roasted cashews for crunch. It is naturally vegan, paleo, whole30 and gluten-free. This post was originally shared on March 27th, 2011. I have updated the images and text today. Today is the first day I am participating in a wonderful seasonal eating challenge with a great group of talented bloggers who also believe in eating locally produced foods when possible. You can follow us on social media with the hashtag #EatSeasonal. Here’s how it works. Every month, I’ll share a guide that features produce that’s in season for the month. You can use it as inspiration when you are menu planning or shopping. 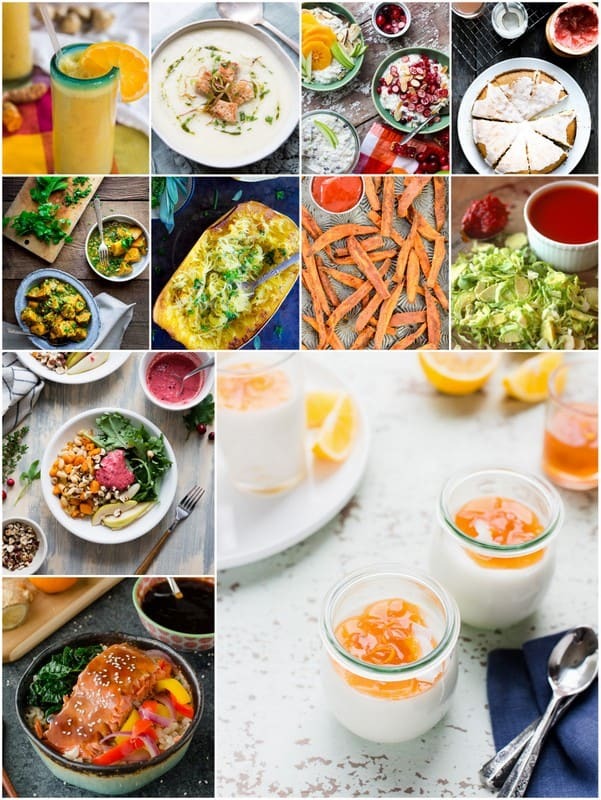 And if you need inspiration for the produce, scroll down, because all of the participating bloggers will share their seasonal recipes featuring one or more of the produce items. So this year, starting today, at the beginning of each month, you’ll see me pop in with a #EatSeasonal post. I know it’s ironic that I am joining this #EatSeasonal challenge now. 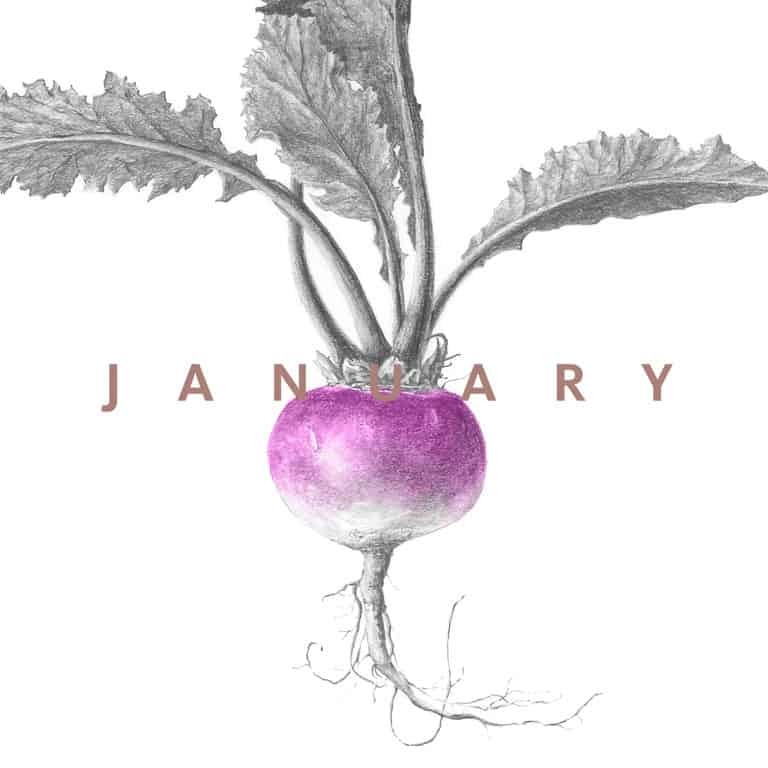 Because, let’s not mince words, this time of year is one of the hardest times of the year to eat local and seasonal ingredients here in New England. Pete’s Greens, one of Vermont’s biggest year round CSA providers refers to this time of year somewhat bleakly as, “The most challenging time of the year to be a local eater in our climate.” Cooks really have to get creative with root crops, frozen and canned crops from the previous year and hot house greens while we wait for spring and the first ramps (wild leeks), fiddlehead ferns and asparagus to make their appearance on our menus. 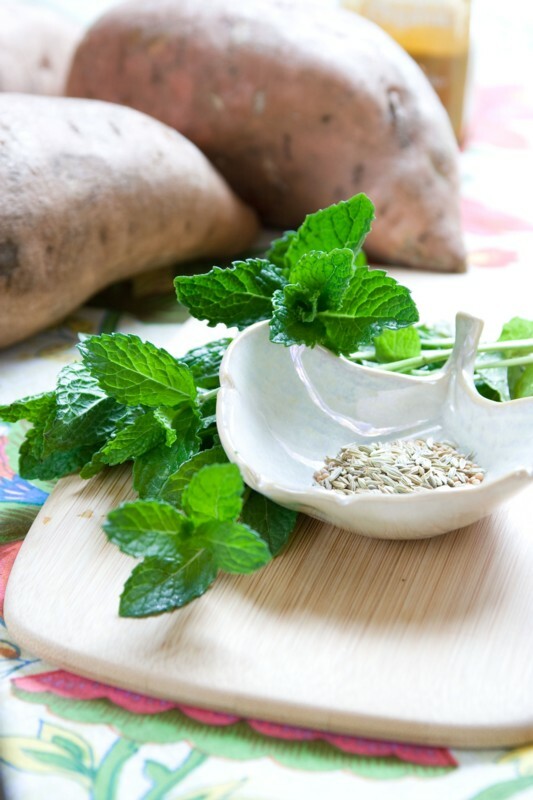 I hope you’ll agree that sweet potatoes are not just good for you, they are also a great choice for your taste buds too! 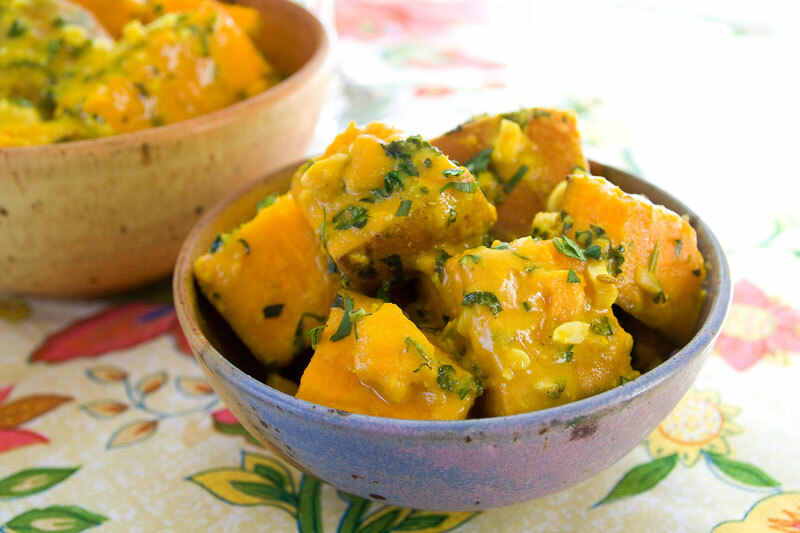 In this recipe, the sweet potatoes are peeled and chunked up into big pieces. Then they’re simmered in coconut milk and vegetable broth flavored with curry and spices. At the end, I threw in tons of chopped fresh mint and cilantro. I also added in a pop of brightness in the form of lime juice and a handful of crunchy roasted cashews for texture contrast. 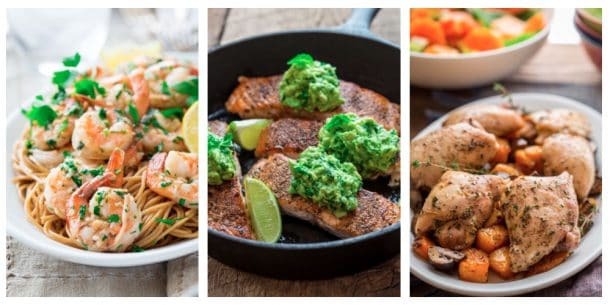 Here are the rest of the Eat Seasonal recipes to inspire you this month! 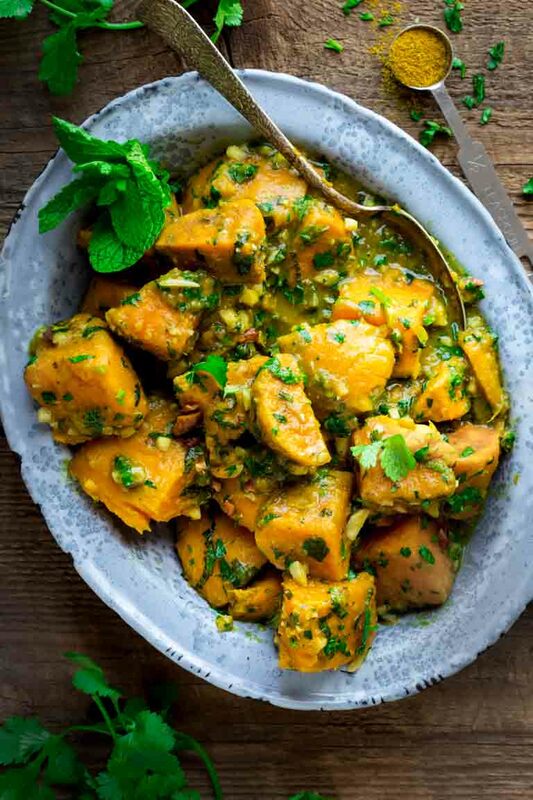 Sweet potatoes are simmered in coconut milk and vegetable broth, with curry. They’re finished with cilantro, mint and a sqeeze of lime, plus a handful of roasted cashews for crunch. It is a healthy side dish or main course. Vegan, paleo, gluten-free and whole 30. Pulse mustard seeds and fennel seeds in a spice mill or coffee grinder until roughly ground. Alternatively mash in a mortar and pestle. Swirl olive oil in a large skillet, add garlic, curry powder and the ground seeds and place over medium heat. Cook, stirring until fragrant, 1 to 2 minutes. Stir in coconut milk, vegetable broth and salt, increase heat to high and bring to a boil. Add sweet potatoes, cover and return to a simmer. Reduce heat to maintain a brisk simmer, and cook, covered, stirring occasionally until the potatoes are tender, 20 to 25 minutes. Remove from heat stir in mint, cilantro, cashews and lime juice and serve. Need a good laugh? Here are some of the images from the original post. These are perfect : all ingrdients I crave for !! I crave Indian food all the time. This meal was delicious and so comforting on this cold winter night. I added turmeric and ginger to it. Keep it coming. Thanks. Thank you Magda! So glad to hear you enjoyed the recipe and I really appreciate your coming back by to let me know how it went. Welcome to the group, Katie — it’s so great to have you! 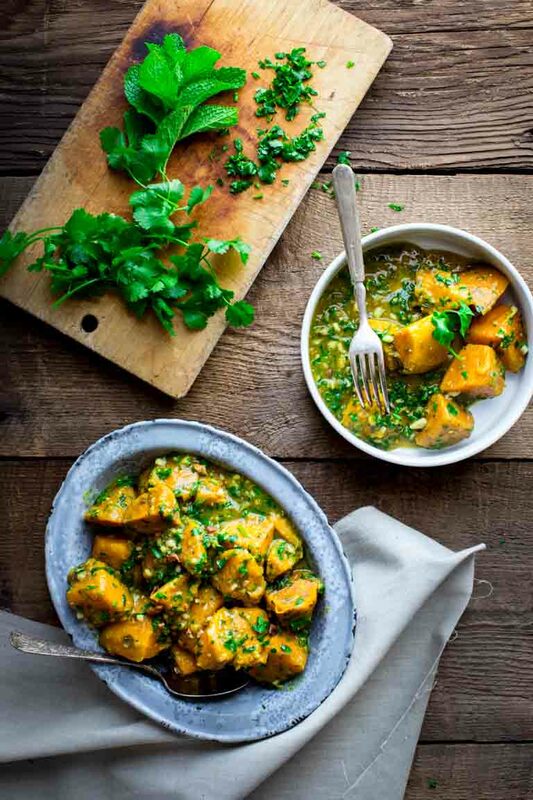 Sweet potatoes are a favorite of mine and these look downright amazing in that delicious sauce! I can’t wait to try them! Thank you Marcie! So glad to be a part of it. Hope you’re well. So glad you’ve joined us, Katie! 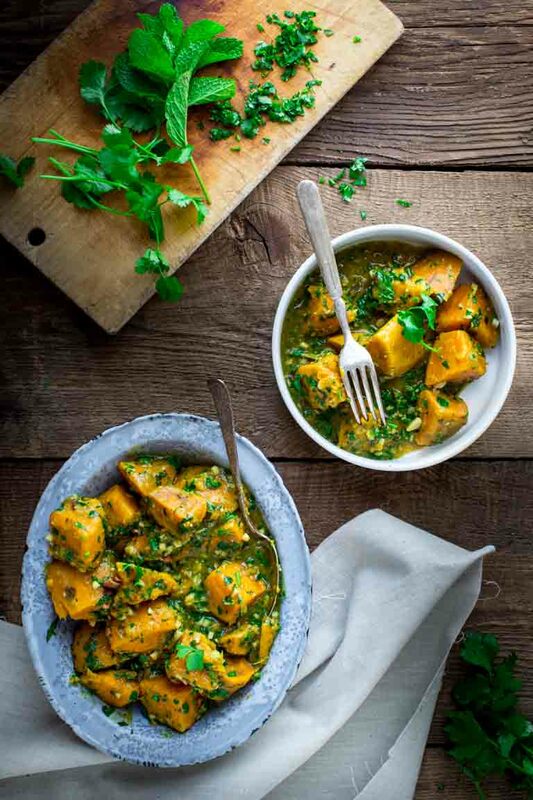 You’ve cooked up some gorgeous sweet potatoes here – they are so tempting and, to be honest, I know what you mean about winter produce, but this is anything but blah. How vibrant! It is an honor to be a part of this group Liren. So happy to have the opportunity. Thank you so much Izzy! Have a great day. I’m so happy your joining our group, Katie. I mean, you are totally the perfect addition! This curry looks great. I just love the mint and cashews! Can’t wait to try it out! Thank you my friend. I am so glad to be in Eat Seasonal now. Such great company! 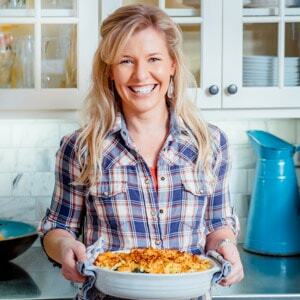 Thank you, and I am so thrilled to be a part of Eat Seasonal. About the creativity thing, that is so true Becky! This is just the kind of food I cook every day at home. I’m Pinning it to save. I love that you bump up the curry with mustard seeds and fennel and that you threw in some cashews for protein. Thanks so much Letty! Glad you appreciate it. Have a great day. Welcome to the group! This looks amazing! 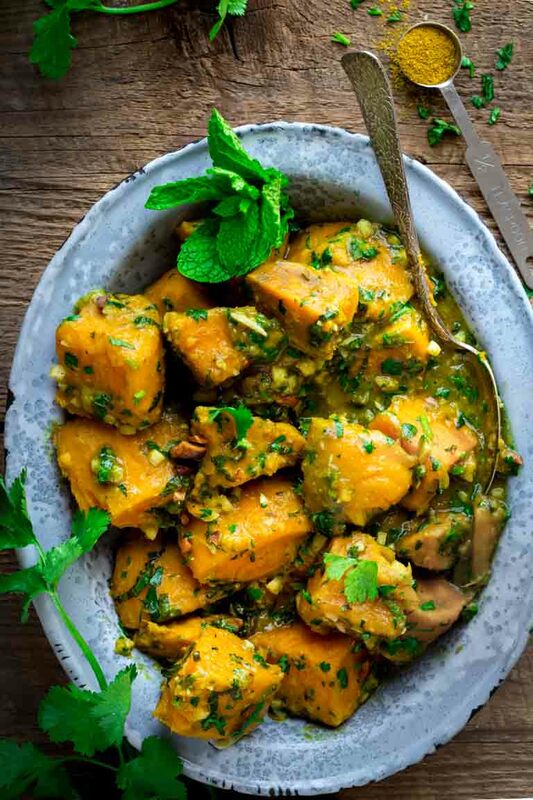 love all recipes “sweet potato” but have never tried any with Indian food flavors, this looks really good! thank you for this!